Many museums are facing difficult financial times and are looking at ways of increasing their income. For an increasing number this includes considering introducing admission charges. For museums thinking of taking this step, there are many strongly held views to consider. There are plenty of examples of successful museums that do charge for admission, but there is a paucity of evidence about what the impact of moving from free admission to a charged model might be: on their museum’s visitors, reputation, visitor income and secondary spend. AIM, working with Arts Council England, wishes to commission research which will fill this gap and enable museums to make evidence-based decisions about whether charging for admission is right for them, how to manage the transition effectively and what the impacts might be. Proposals are invited from consultants with experience of this type of study and should be submitted by 19th January 2016. The brief and details of how to submit a proposal can be downloaded below. AIM is looking for a strategic-thinker who is great at developing relationships, to take on the new position of Assistant Director. This is a great opportunity for someone looking for a leadership role to work with AIM’s energetic staff team and high-profile Council, to shape and deliver an ambitious new programme to support museums and help them to prosper. A rare opportunity to join a growing and successful organisation in a high profile, strategic and extremely varied role, making a practical difference to large and small independent museums and heritage organisations across the UK. AIM works hard to help and support its 1000+ members – some of the UK’s most innovative, resourceful and passionately-run museums and heritage organisations. This is an exciting time for AIM: our small, friendly staff team is expanding and we have a high-profile, exciting, new project to deliver, which will help our members prosper through developing their organisation’s purpose, culture, governance and leadership. This is a new position with a fixed-term contract to 31 March 2018. Hours are flexible. To apply: email a maximum two page letter explaining why you would like the job and how you meet the requirements in the person specification, with a copy of your CV (maximum 3 pages), to tamalie@aim-museums.co.uk Please state any access requirements for the interview. Your application should arrive by 1pm on Monday 11th May 2015. Interviews will be in London on 20th or 21st May 2015. This position is funded by Arts Council England. 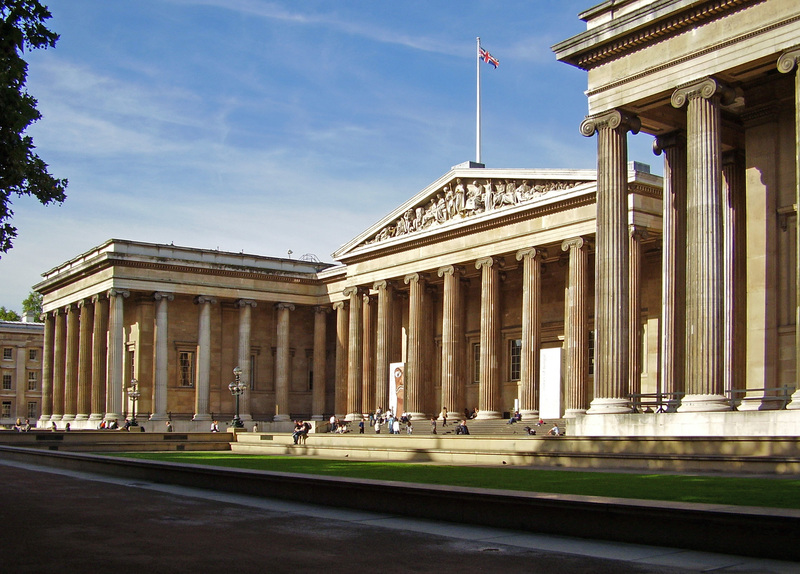 The Museums Association have been consulting with the museum sector about the Code of Ethics. AIM is grateful to the Museums Association for leading the review of this important document and has submitted a response to the consultation. The key points are summarised below and there is a link to the full response. The Association of Independent Museums (AIM) is the national organisation connecting, supporting and representing independent museums and galleries, which form the majority of the UK’s museums. AIM’s membership includes 800 museums, from the largest institutions to the smallest, volunteer-run museums. Cross-sector support: The Code needs to be a document that the whole sector endorses and can unite behind, otherwise it may well be ineffective in helping to meet current challenges such as unethical sale of collections. In order to ensure this is achieved a cross-sector working group is needed. Museum specific and based on ethical principles, not policy aspirations: The code should be concerned with issues that are specific to museums. It should be concerned with matters of ethics only: it should not replicate the existing legal framework within which museums operate and it should not include policy positions or general guidance. Museums are extremely diverse and the Code should identify matters of principle, but not be prescriptive about how those principles should be applied by individual museums. Short format based on key ethical principles: A shorter format, based on key principles relevant to museums (AIM proposes – Stewardship, Access and Integrity), should be used. This should be supported by more in-depth guidance or toolkits in separate documents, where needed. For museum organisations and museum professionals: The code should be drawn up with a clear understanding of who it is for. It should be used by all decision-makers in museums and museum organisations should sign up to it through the Accreditation process as well as museum professionals through the AMA: as such, it should be accessible to lay-people such as Trustees. Linked to Accreditation: The Code should be effectively linked to Accreditation as the framework for baseline national standards for museums and galleries. Robust challenge: The Code must be in practice robust enough not only to withstand quasi-legal challenge, but also clear enough that a simple independent arbitration process can elucidate what is considered ethical behaviour from the unethical. The Arts Council Accreditation panel could well be an appropriate arbiter for judgments of this kind. The Art Fund Prize for Museum of the Year celebrates museums and galleries across the UK – annually awarding one outstanding winner £100,000. Museum of the Year identifies the finest museums in the UK and awards £100,000 to the very best. The Prize champions what museums do, encourages more people to visit, and gets to the heart of what makes a truly outstanding museum.